Published by Joshua Clare-Flagg on 4 Apr, 2015. 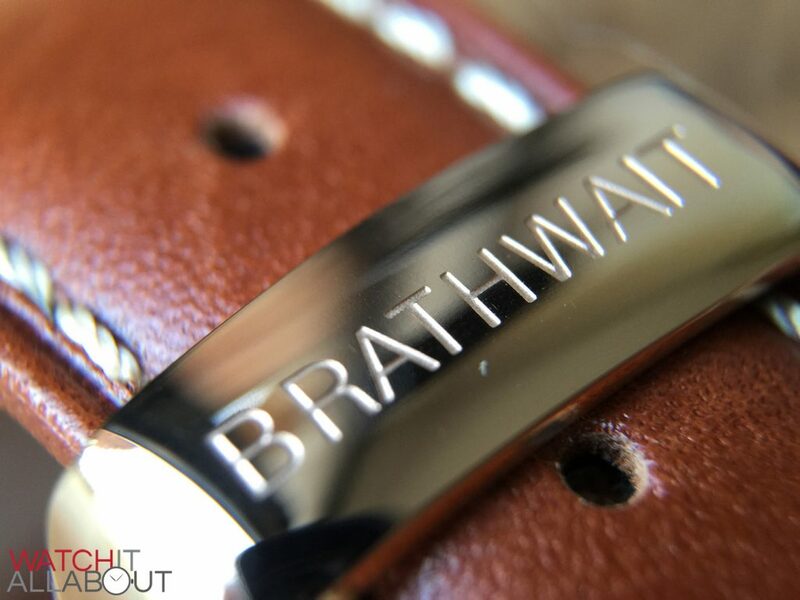 Get 15% off all Brathwait orders by clicking here and using code JCF15! UPDATE July 2015: Due to concerns based on my comments regarding the rough edging to the date window, I’m pleased to announce that Brathwait have updated it, and it now has a splendid bevelled border, which is perfectly made. Read the update post here, where I talk about the date window, new box, and new straps that now come with quick release pins. The price has now gone up too, as the original batch were being made at a loss. 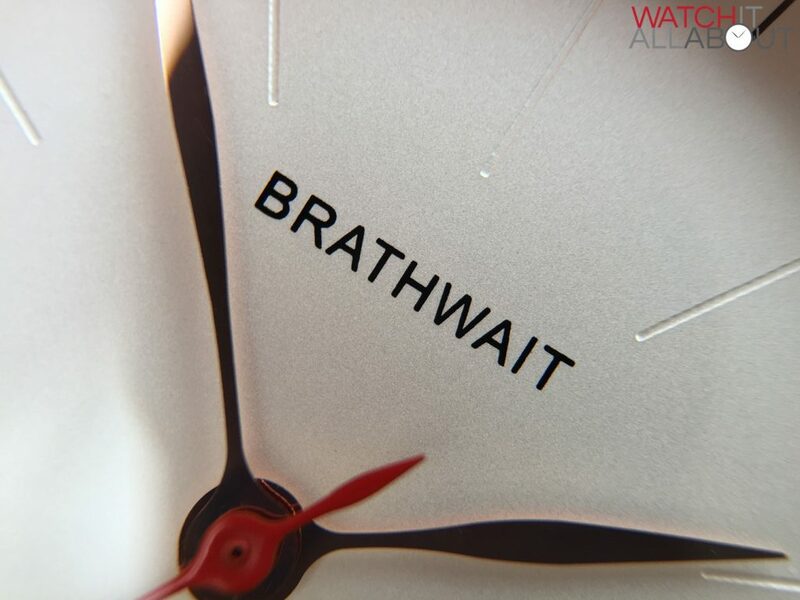 My review of Brathwait’s first watch, the Classic Slim, has proved to be extremely popular – in fact, it’s my fourth most read review on Watch It All About. 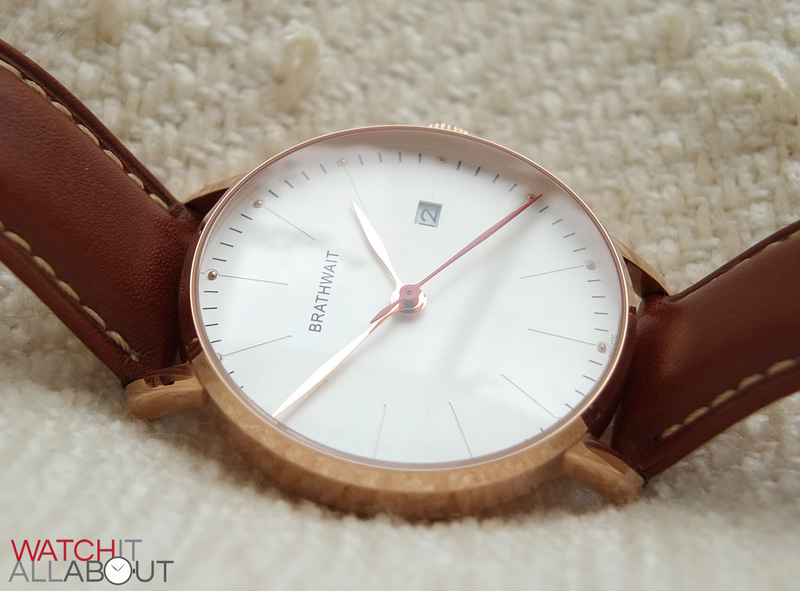 For many watch enthusiasts, though, it being Quartz wasn’t particularly attractive and so Brathwait probably lost some sales due to that. 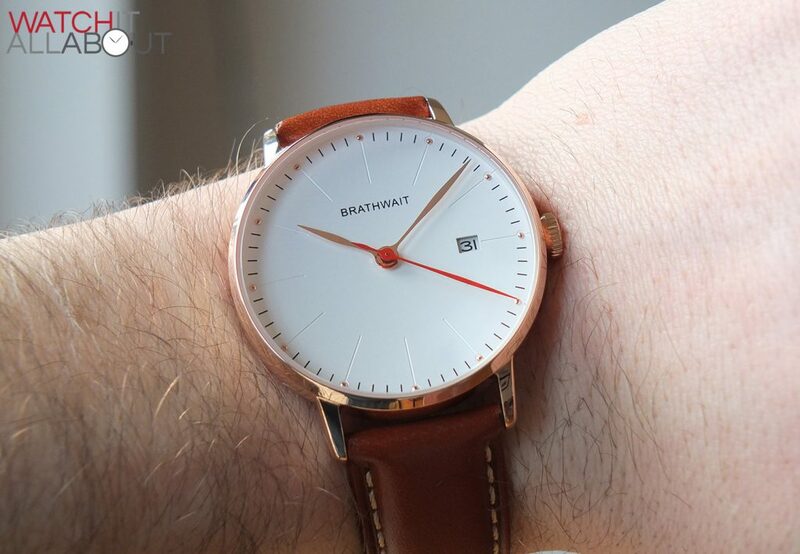 The good news is that they’ve now released an automatic model, named the Brathwait Minimalist Automatic. Costing $265 / £178 $359 / £230, it’s still extremely reasonably priced, and I for one have been pretty excited about it. It definitely has the potential to be even more popular than their first model, as it boasts impressive specs for a very sensible amount of money. Let’s take a look to see if it’s a good buy. The case supports the Minimalist label. It’s simple in its design, and is rather angular rather than curvaceous. 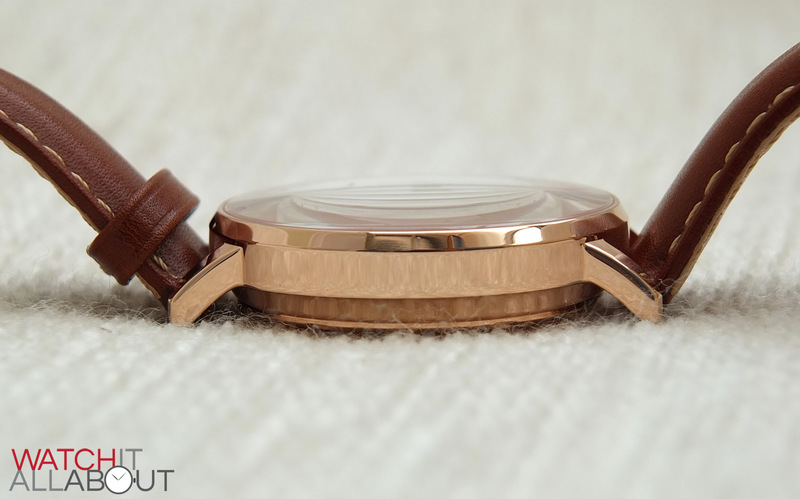 It’s a simple barrel-shaped case, which tucks in at a 45 degree angle just before the screw-in caseback. 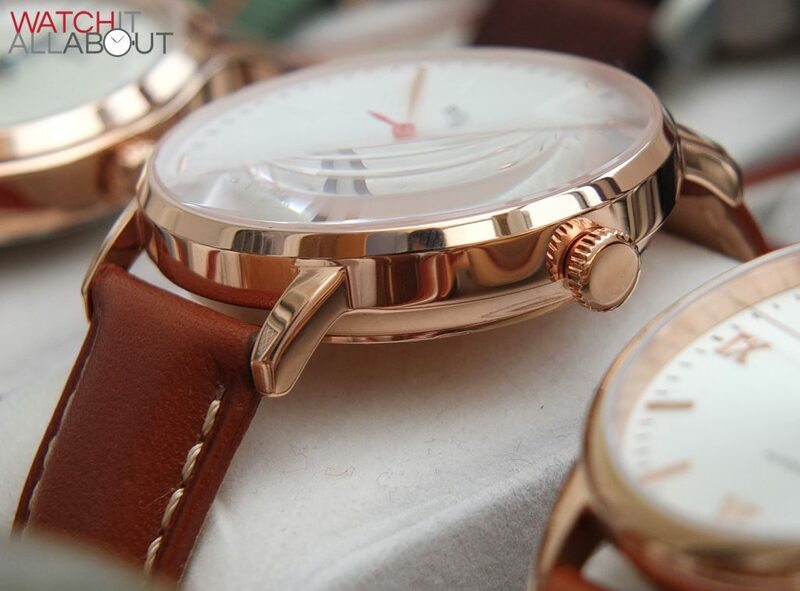 It is all polished rose gold plated, which is pleasantly well finished and manufactured. 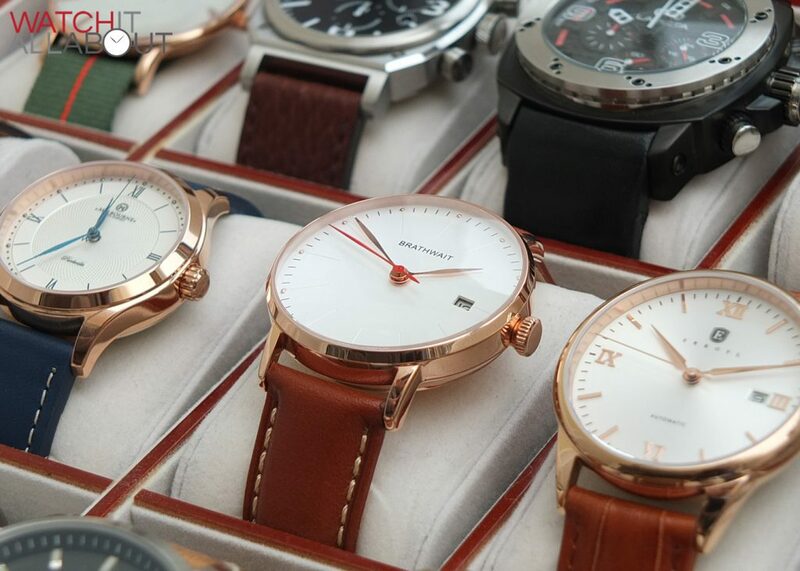 The case is a reasonable 40mm in diameter, which is proving to be a popular size for smart dress watches nowadays. 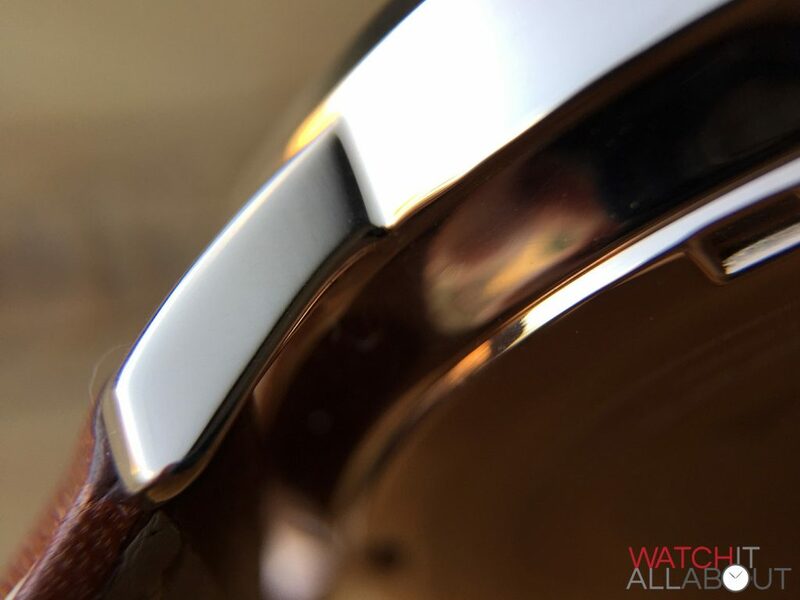 It has a height of 9mm, which is pretty thin for an automatic watch. It sits under a cuff easily and comfortably. Lug to lug, the case measures in at 46mm, so it is a rather compact watch. It weighs a mere 85g so it’s also pretty light. 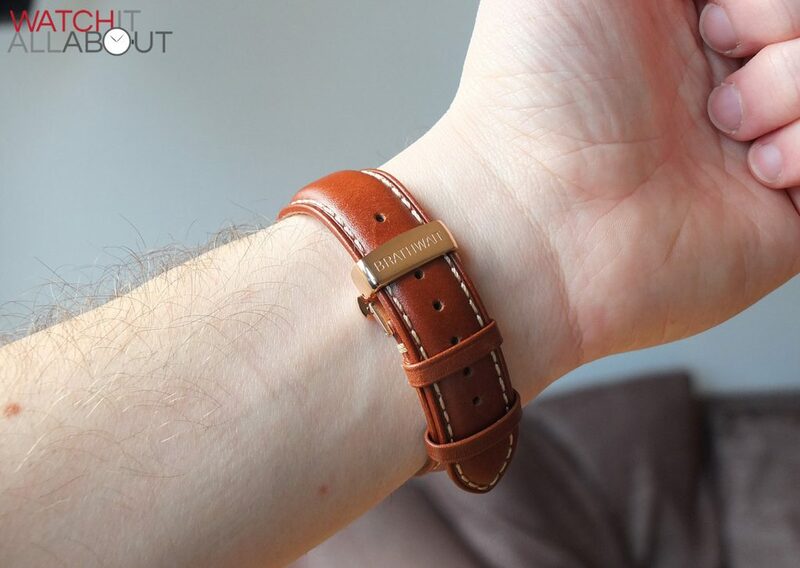 This means that it’s quite a gentle and comfortable wear on the wrist. Sitting on top of the case is a domed sapphire crystal, which is 1.9mm thick. It’s got quite a steep dome, which gives a fair bit of distortion at tight angles. The crown is a push-pull type, and is completely unsigned. It is a sort of onion shape, but is quite small, and in proportion with the case. 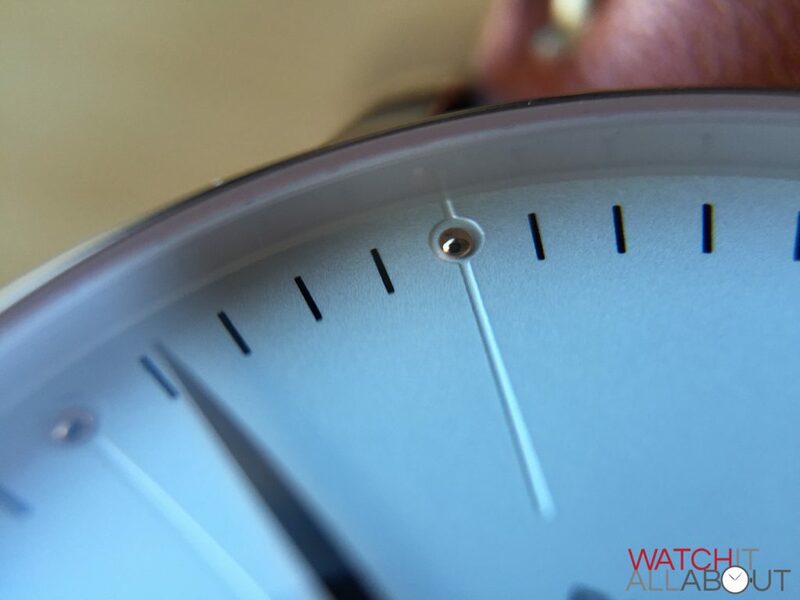 The grip is gentle and suitable enough to wind the movement and adjust the time. 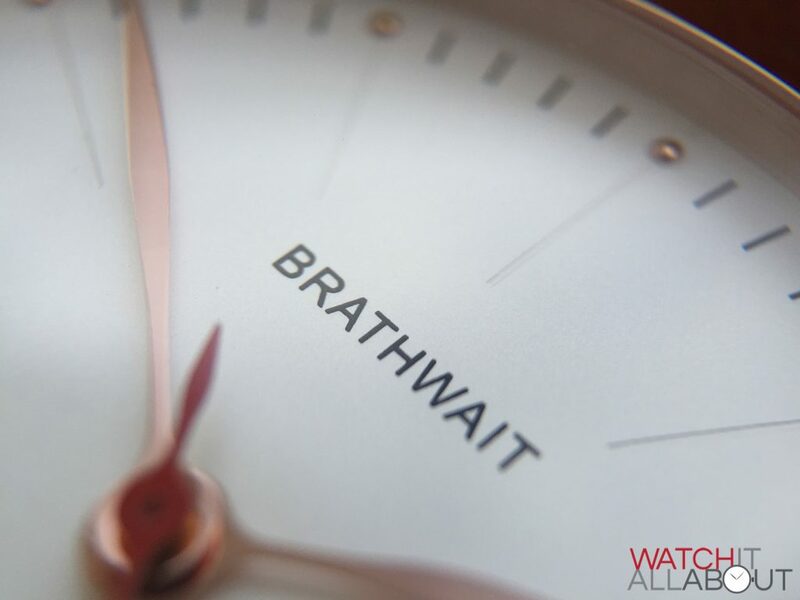 The Brathwait Minimalist has a water resistance rating of 100m, which is quite good for a dress watch. This is sufficient to be fully submerged, but not too deep. 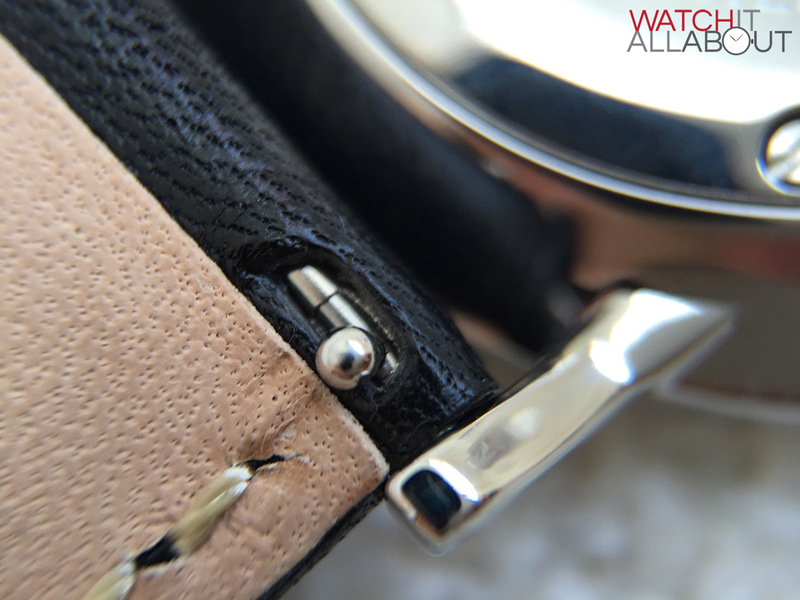 The caseback, as mentioned before, is screw-in. It features a drawing of mount Everest, and the signatures of 5 of the world’s most experienced sherpas. These were chosen to be featured because they are the people Brathwait admire the most. 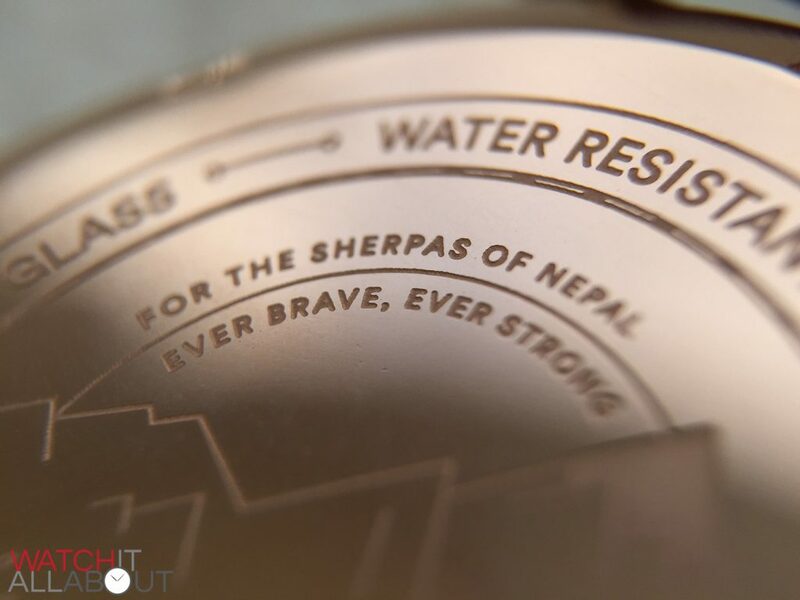 A really nice touch is how Brathwait donate a day’s wages to the sherpas of Nepal with every watch sold. Can’t argue with that, that’s extremely charitable of them. So whilst the case is fairly simple, it’s very well made, with no sharp edging anywhere. The polished finish is spotless and has held up extremely well despite me wearing it a lot. So far, so good for the £178 watch. 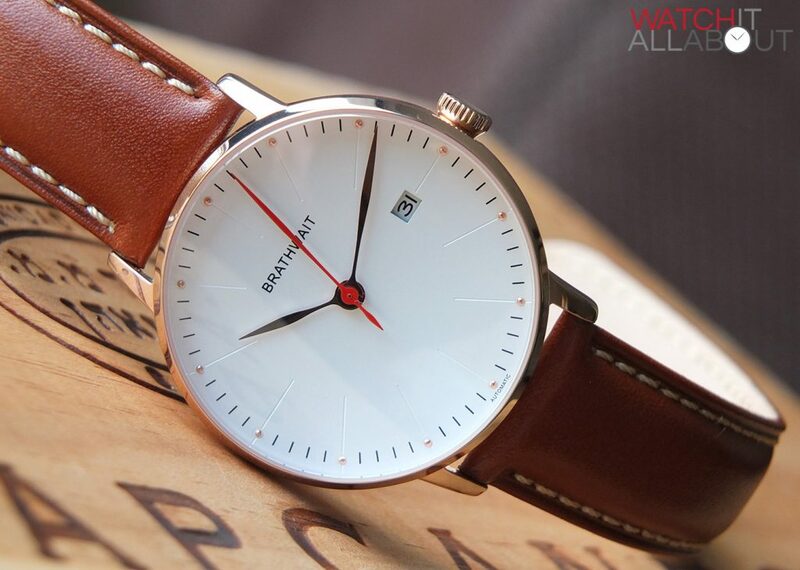 As the name suggests, the dial is pretty minimalistic. It’s a slight off-white, almost creamy / champagne in colour. 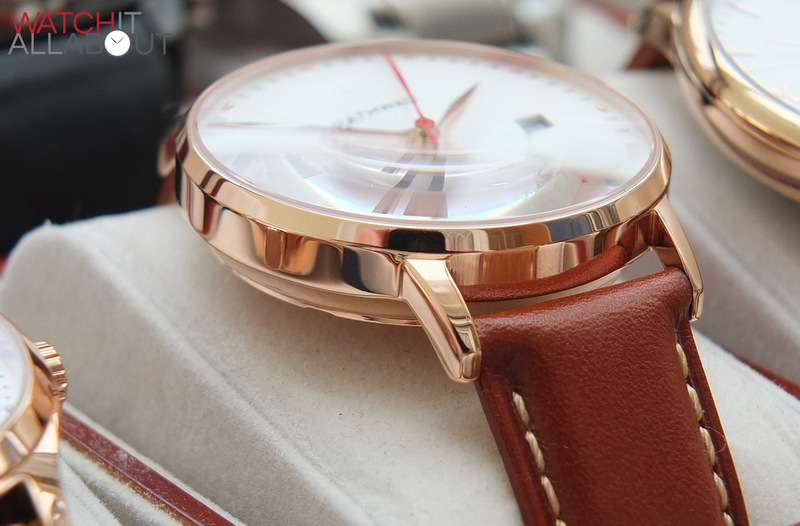 This goes well with the rose gold case, offering an overall light and pleasant appearance. 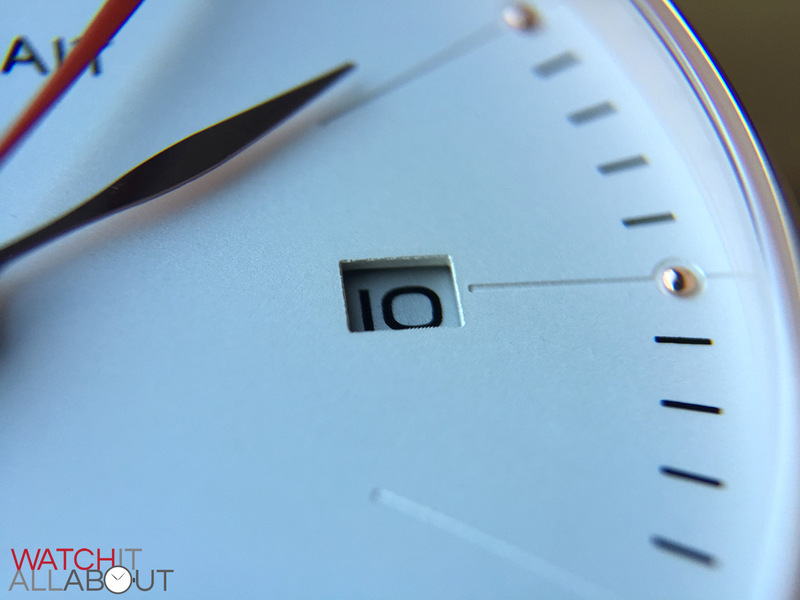 Printing is kept to a minimal, with logo in top half, automatic at the foot of the dial, and a thin minute track around the outer edge. 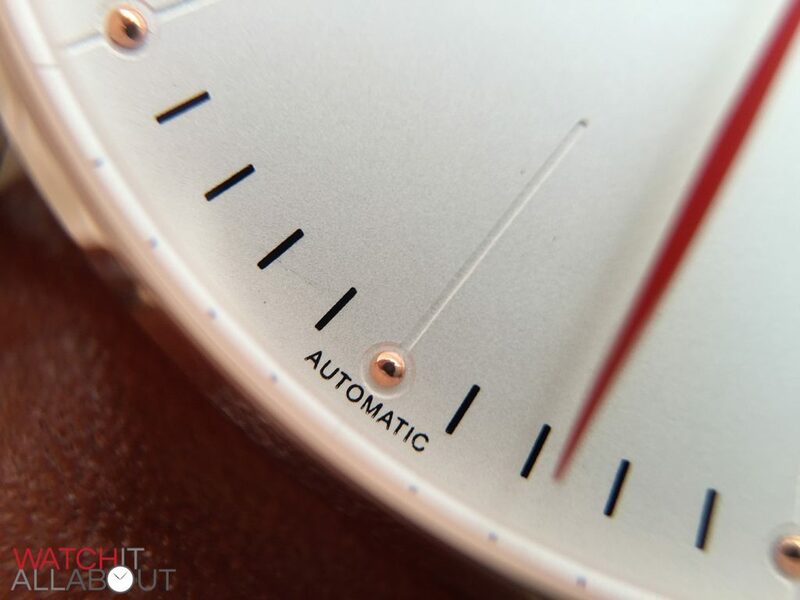 It’s all fairly precise, although the Automatic at the foot of the dial looks slightly rough under the macro lens. But, this is nothing to worry about, as it’s genuinely minute and looks perfect to the eye. 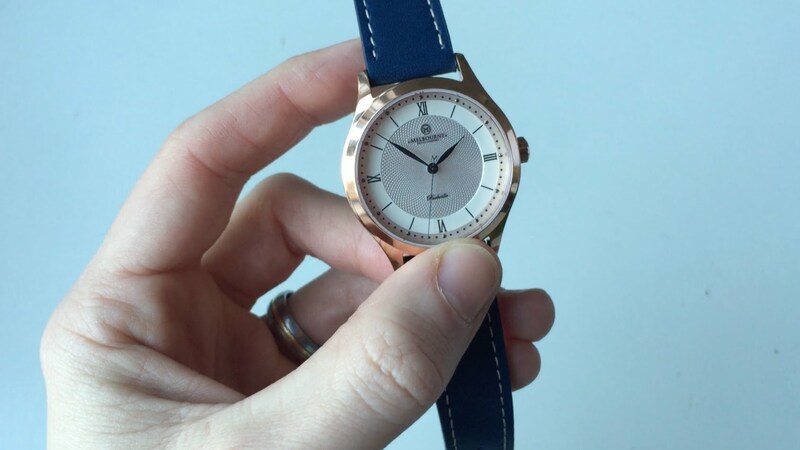 One thing I really like about the dial is the hour markers, and how they’re long, thin, and channeled in the dial, ending with a small polished rose gold disc. Very minimalistic, yet does the job surprisingly well. You can see each hour marker easily no matter which angle you look at the dial, which is actually pretty clever how they’ve manage to make these work so well whilst keeping things so simple. 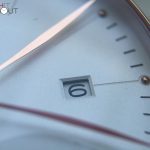 The date window is shut straight out the dial, and is a little rough around the edges when looked at under a macro lens. The date window has now been updated, providing a lovely bevelled border. 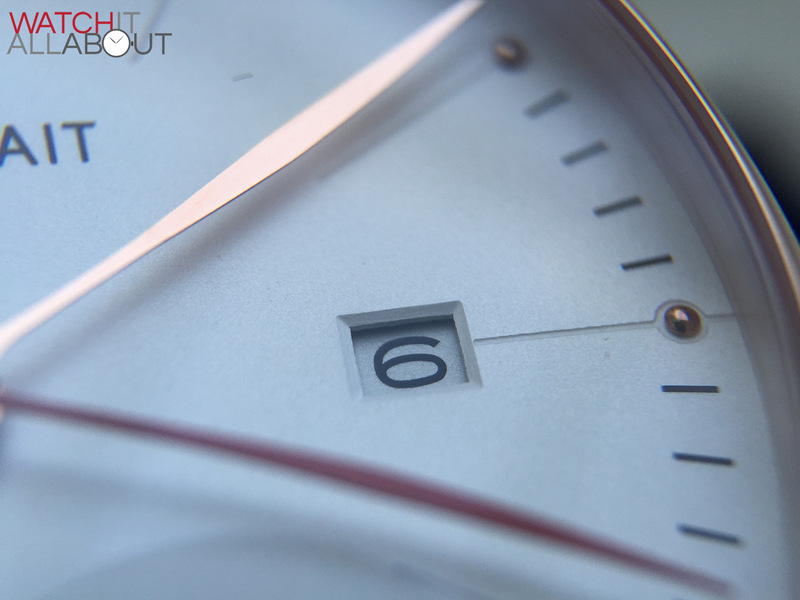 This creates a smooth transition between the higher level of the dial and the date wheel itself. The date wheel itself is white with black text, and doesn’t sit too deep. The hands are quite a unique design; flat, thin and elegant with a slight bulge in the middle. They’re very well machined, and the shape is pleasantly simple yet interesting. 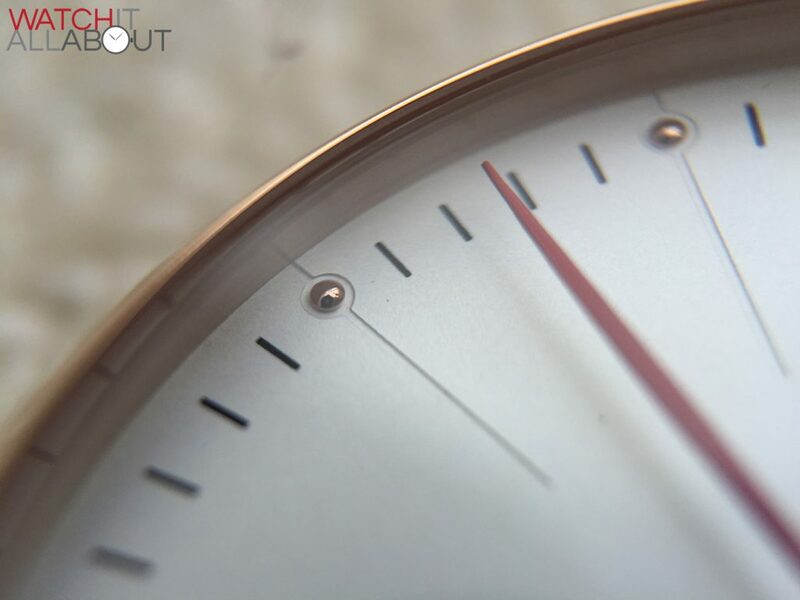 The dial does as the watch suggests: minimalistic. 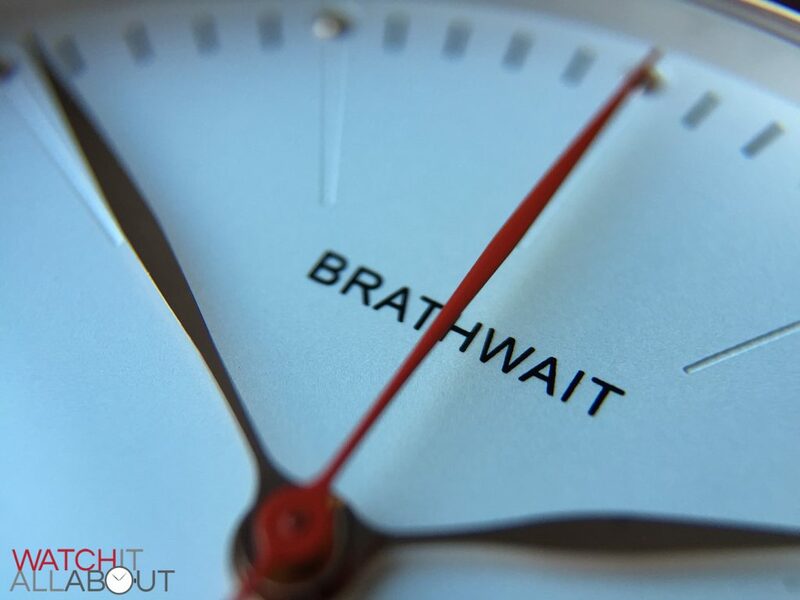 Brathwait have done a great job in keeping it interesting whilst also maintaining a refreshingly simplistic approach. 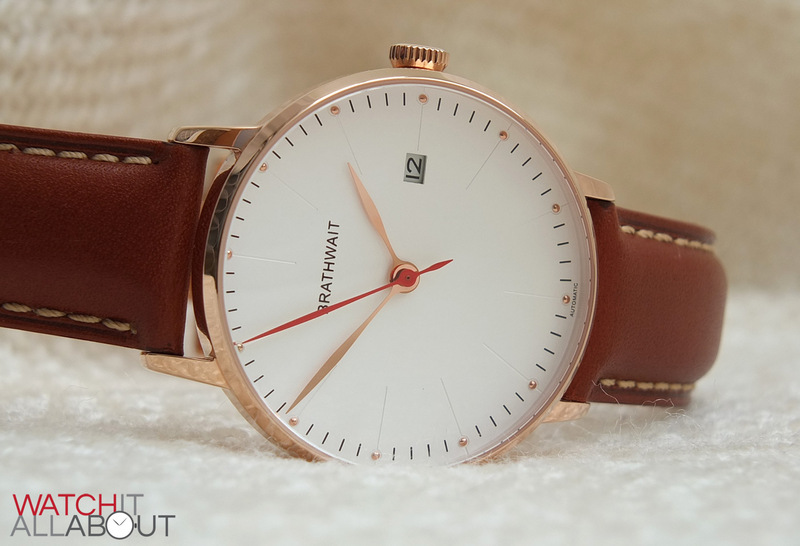 The movement found in the Brathwait Minimalist Auto is the popular Miyota 9015. 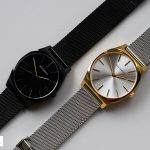 This is movement found in the majority of affordable boutique watches nowadays, thanks to the fact that it’s high beat, well-made, and much cheaper than the Swiss alternatives whilst still offering the same specs. 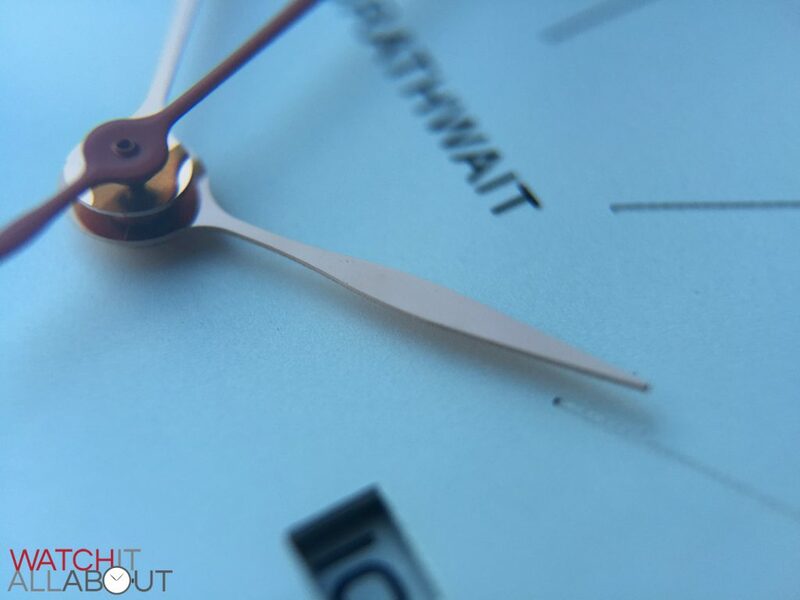 One thing that is worth noting is that the rotor on the Brathwait is very noisy – you can hear it spinning around if it’s quiet and you’re wearing it on your wrist. This may cause issue with some, but it is easy to fix by getting a watchmaker to add some oil to the bearing. 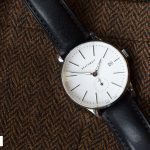 The movement feels solid in the hand whilst changing the date and time, and gives you the sense of quality and sturdiness. 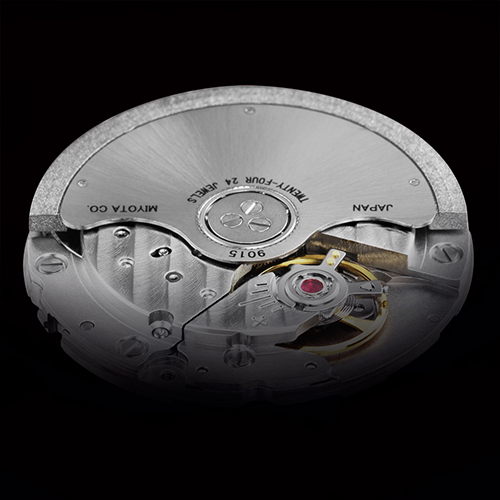 The Miyota 9015 is now very well regarded, so if any non-Swiss movement was to be used, you’ll be hard to find one better. 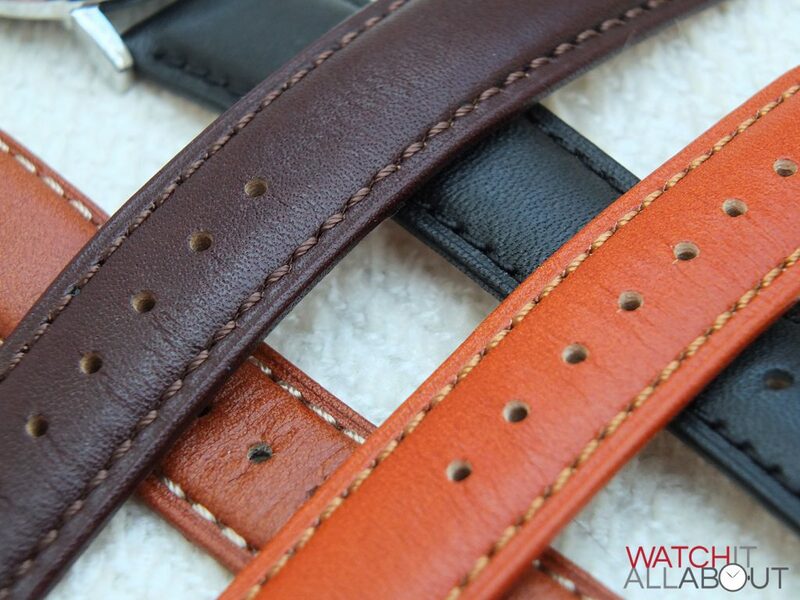 The leather strap measures 20mm wide at the lugs, reducing to 18mm at the butterfly clasp – to me, that’s the correct sizing. The leather is a red oak brown colour, which suits the rose gold case, and the contrasting cream stitching refers back to the colour of the dial. 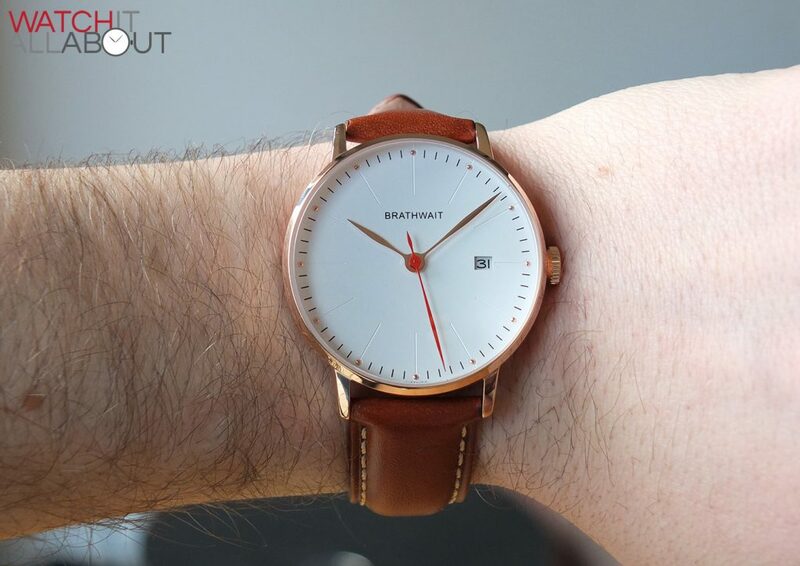 The feel of the leather is a little on the hard side, it’s not as soft as I’d like – but it’s perfectly understandable for a watch costing this much. 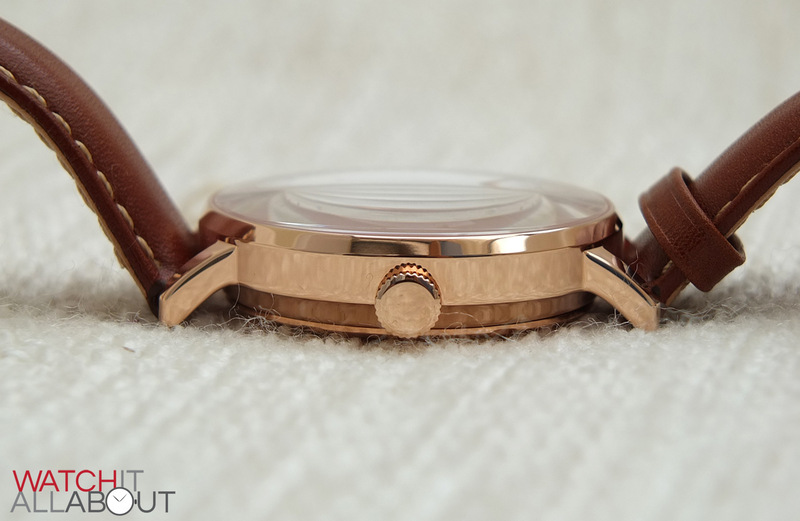 The butterfly clasp is polished rose gold plated to match the case. It’s excellently made and finished, but there are a couple of minor points. It can be a little bit hard to click together sometimes, as in you can’t just push it closed, but rather sometimes you need to depress the buttons to fully close it. This can be a little annoying, but it’s nothing that should put you off. The only other thing is that it can get a little uncomfortable after wearing it for quite sometime. Whether that’s because my wrist is an annoying half-hole size so it’s a little tight for me, or because the clasp itself is a tad too deep I’m not sure. Worth mentioning though. 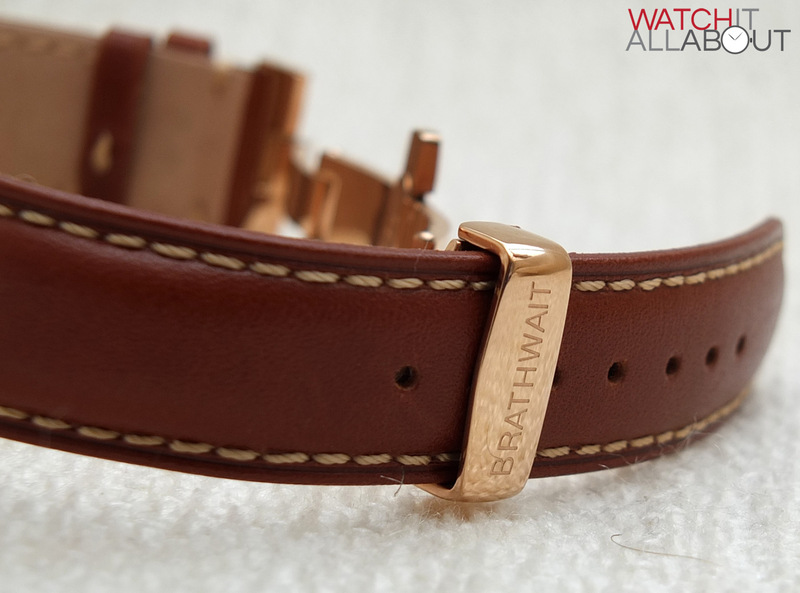 The clasp has Brathwait deeply engraved on the top bar, perfectly executed. To be honest, despite these little issues it’s still quite impressive to receive a butterfly clasp on a watch like this, so it actually makes the watch even better value for money. 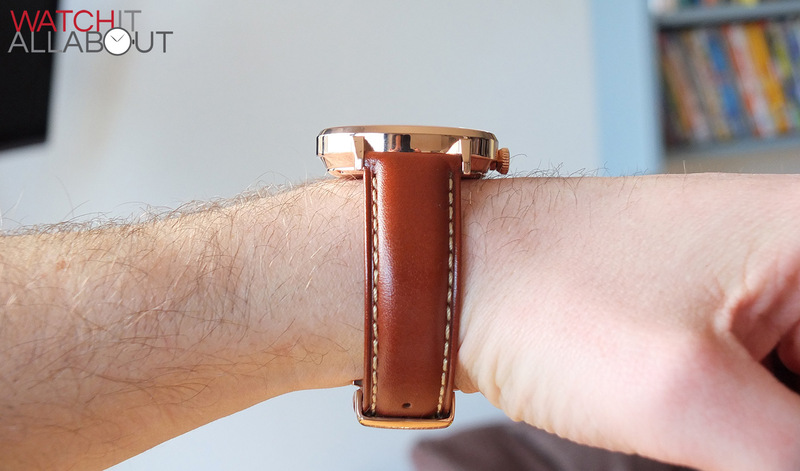 Although the leather strap isn’t anything to write home about, it’s still reasonable enough to not have to change it and is fit for purpose. Update: The straps are now available in 4 different colours, and all come with quick-release pins. There’s two alternatives that immediately come to mind. 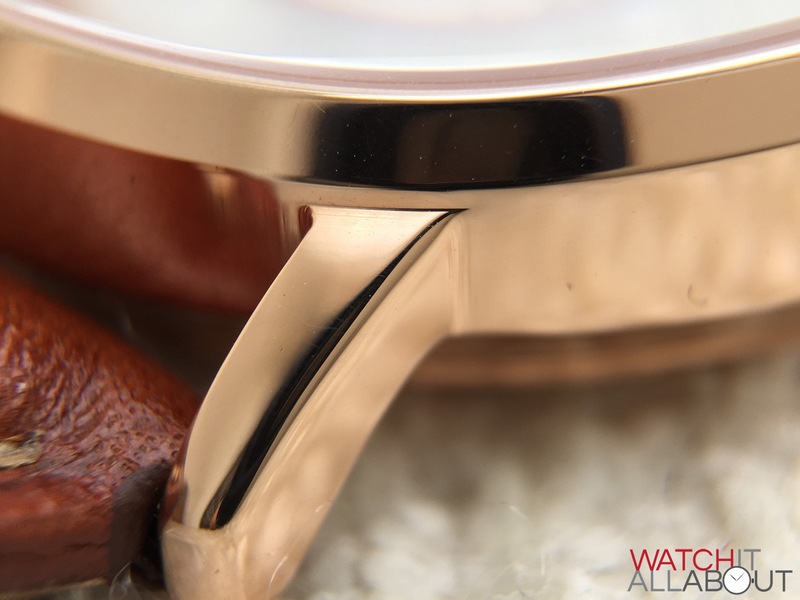 They’re both smart, classy watches with rose gold cases. Firstly, there’s the Melbourne Parkville. 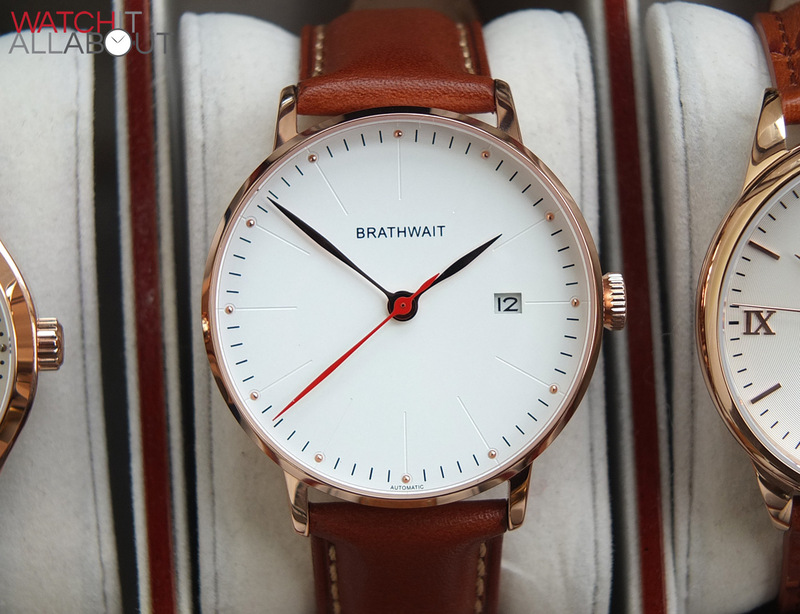 Costing you around £230, it’ll cost you more than the Brathwait, but it is a smaller size at 36mm if the 40mm Minimalist is a bit too large for you. The Rosetta Spiral guilloche dial is stunning. 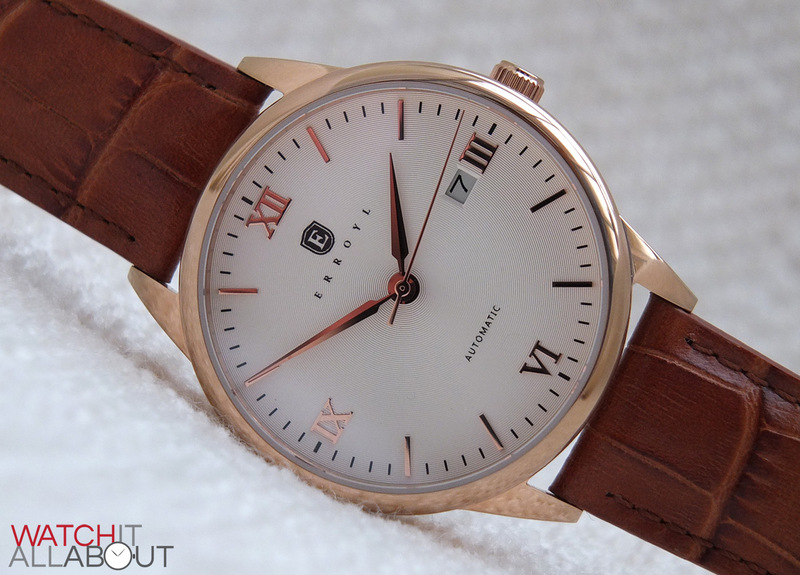 There’s also the Erroyl Heritage E30, a brilliant first watch from the young, new Australian company. Its price is between the Brathwait and Melbourne at £200, and is a great buy in my eyes. 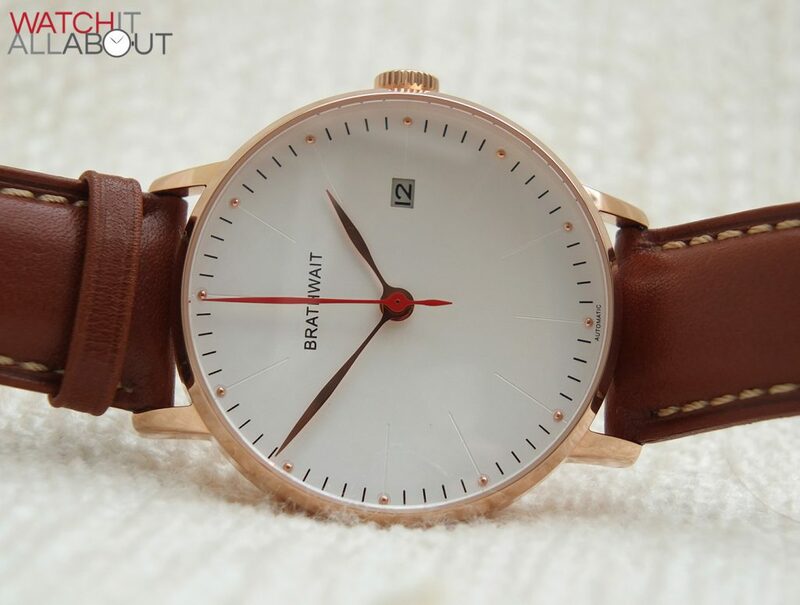 For £178, I honestly believe this is an outstanding watch. 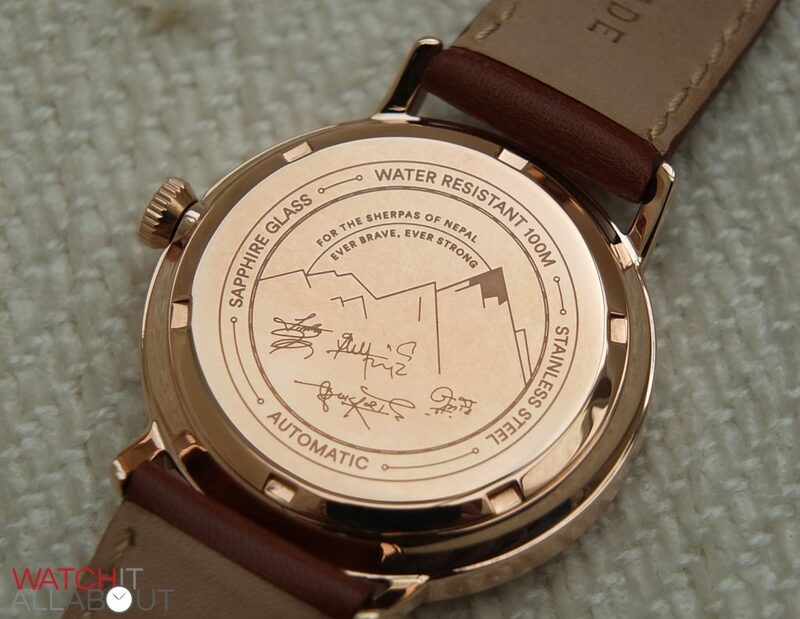 The case is made extremely well, it’s designed wonderfully, and you get a high beat Miyota 9015 movement, sapphire crystal, and butterfly clasp. 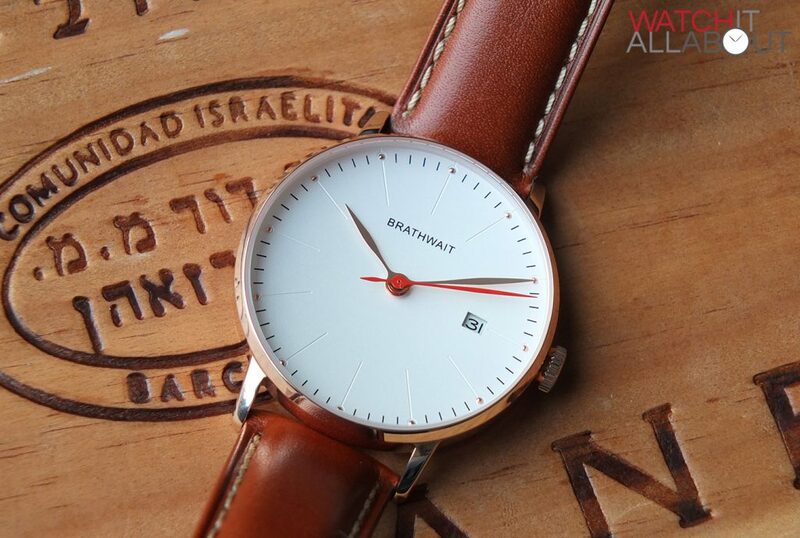 It’s pretty tough to find a watch offering that for cheaper, so for those of us who like a bargain, the Brathwait is an excellent choice. Given the popularity of their first Quartz model, I have no doubt that the Minimalist auto will be even more well received. Great review, thanks! Any idea where I can try it on in London? 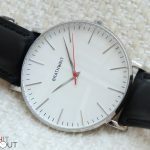 I have a fairly small wrist, and I think 40 mm might be a little bit on the big side..I actually bought a Rodina automatic following your last review, which I am very happy with, but since I have a few weddings this summer I’d like something a bit more dressy. Excellent review! Very impressed with the watch. 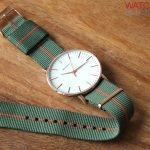 I am thinking of buying my first watch (haven’t had any sort of watches in the past). Struggling to decide between the Automatic Minimalist and the Brathwait Classic Slim. I have a fairly small wrist size 16cm or 6.2 inches, worried whether the 40mm diameter would be too big for me and the 9mm thickness of the automatic. Something else I’m considering also is the Daniel Wellington’s, any suggestions as to the best first time watch that’s not too expensive? with interchangeable, quick release straps. starting at 150.00 us. Watch appears to be black with white numerals. 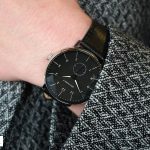 Do you think this watch would be suitable for a lady’s wrist? 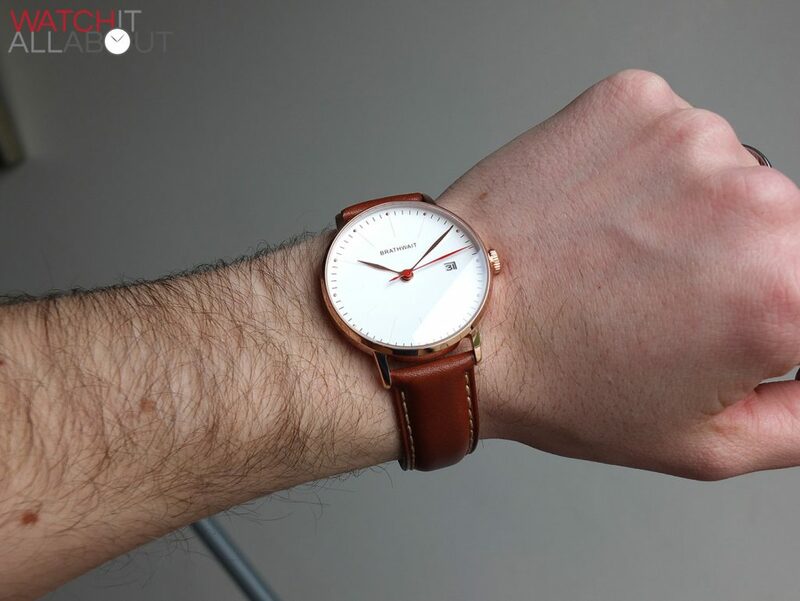 I really like the minimalist design at a more affordable price, say to, Daniel Wellington… Although I am worried about how loose it would be on the shortest hole.. What is your suggestion? 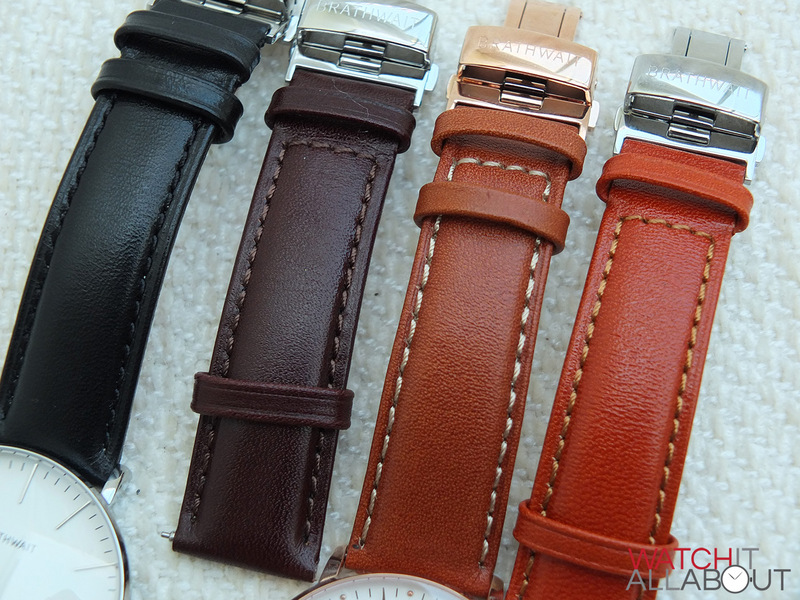 Excellent review which leaves me with choosing among the three watches mentioned here. Any idea how to choose among the three? Which is the best choice if price is not the decider? Asking a company to include government added sales and excise taxes to the responsibility of the manufacturer is beyond rediculous. Since taxes vary by location to which the watch iis bring shipped how exactly do you expect the company to list it? The very good Miyota automatic movement does not come close to the promised accuracy of the ETA automatic movements. In other words, the Swiss made ETA automatic movements promise significantly better accuracy than the Miyota movements. £178 is good for a miyota9015. But I just can’t get past that date window, its in the middle of no where. There’s no proportionality to its placement.